The adrenal cortex produces a variety of steroids, some biologically active and others, by present bioassay methods, inactive. These compounds possess from 18 to 27 carbon atoms. Some of these adrenocortical steroids as well as their metabolites are present in the blood and urine, others are represented in these fluids only by their metabolites. 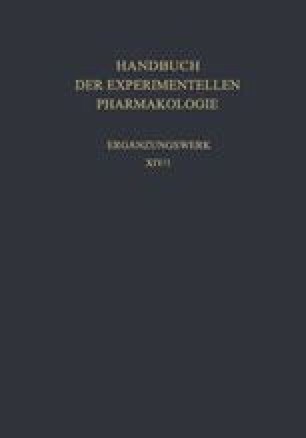 During the past 20 years, a wealth of information gathered from isolation studies and from metabolism studies (on biosynthesis and catabolism) has so enriched our knowledge that it is now possible to draw a reasonable balance sheet between steroid production in the adrenal gland and the levels of related steroids in blood and urine. This review will be concerned with (1) the biosynthesis of adrenocortical steroids, (2) factors relating to their metabolism, and (3) the enzymes that regulate the various reactions. The author is especially grateful to Dr. Betty L. Rubin and the sub-editor for the many helpful suggestions during the preparation of this chapter for press. The chapter was completed late in 1958.